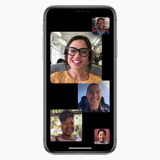 The recently-discovered Group FaceTime bug that allowed people to eavesdrop on other people without their permission has been worked around, and a fix is coming, but the UK's surveillance agency wants to use flaws like it as a feature, in order to more easily spy on targets. Keynoting a cybercrime conference on Thursday, U.S. Deputy Attorney General Rod Rosenstein attacked the encryption stances of companies like Apple while simultaneously arguing for the importance of security. Apple in a statement to AppleInsider on Wednesday said iOS 12's incarnation of "USB Restricted Mode" will thwart criminals, and enhance user's privacy. Apple has enhanced the USB Restricted Mode feature in the first beta of iOS 12, requiring users to unlock their iPhone once an hour to allow data transfers via the Lightning port, in an attempt to protect user data stored on iOS devices from acquisition by unlocking services employed by law enforcement officials. A new bill being proposed in U.S. Congress would theoretically ban any attempt at imposing legal backdoors into devices like Apple's iPhone. The iOS 11.4 beta contains a new feature called USB Restricted Mode, designed to defeat physical data access by third parties -- possibly with forensic firms like Grayshift and Cellebrite in mind.